As part of the next instalment in my international version of Guests’ Corner (previously a local South African travel interview section on Tamlyn Amber Wanderlust), I chatted to Catherine Steel, travel blogger at Possess The World. Catherine and Ian are an Australian couple who love food, wine and travel. After successfully raising her family and dedicating twenty years of her life to health care, Cath – together with Ian – is finally enjoying the Gap Year they missed out on a young adults. 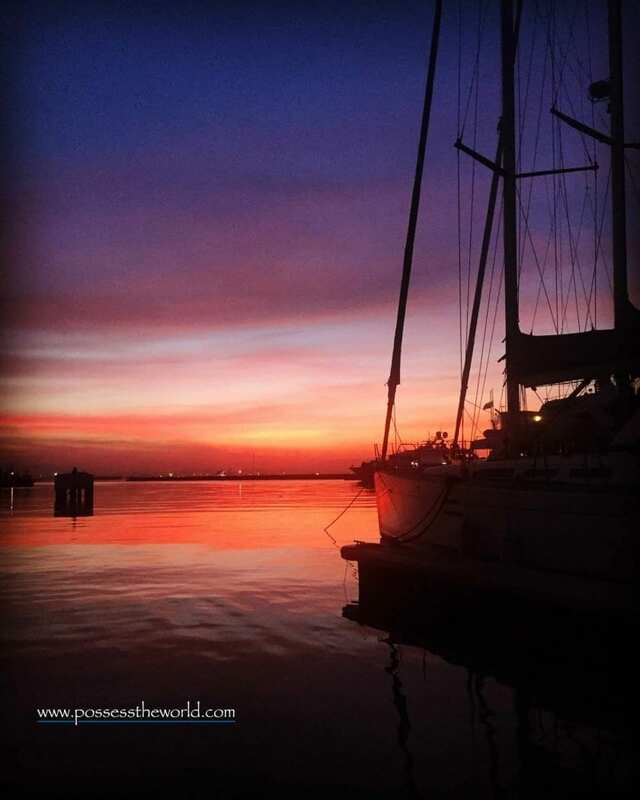 Together, Cath and Ian blog about their adventures on Possess The World as they go! Over the past five years, Cath and Ian (who is fortunate enough to be enjoying early retirement from tech support) have travelled around the globe together. In this time, they have learnt some important lessons, like how to slowly and properly experience a destination rather than city-hopping from one place to the next, or how to travel for longer, for less. Join them on their journeys as, through rich travels, they possess the world! We realised that there are a lot of blogs out there for young travellers, backpackers and solo travellers – but not many for the over 40s, who are wanting to travel independently, not on tours. Yes, we oldies want to do it too but with a little more privacy than staying in hostels affords you. So we decided to start a travel blog for people like us. We wanted to include some travel and health posts, as we realised that this is a concern for many people in our age groups and, after Cath’s dad got really sick on an overseas holiday, we realised it is essential for people to have good, basic and well-researched information. So we are now travel bloggers, which is a bit weird, but we are loving the life and hopefully, we can make it a business so that Cath doesn’t have to return to full time work! We are middle-aged travellers and our thrill-seeking days are probably behind us. We are culture vultures who love history, food, wine, politics, art, music and good conversation. We also like to walk lots so that probably also makes us nature lovers, but not really campers. 1. Paris: It was the first overseas destination we travelled together and Cath’s first-ever trip overseas. It will remain a special place to us forever. We have now visited four times and will be going back again, no doubt. We love everything about this city, even the Metro, which everyone grumbles about. 2. Spending 12 months travelling in 2017: Being free to decide where and when we wanted to go, without having to worry about time, has provided us with many memorable moments and given us a sense of freedom. We would encourage everyone to take 12 months and just travel, no matter where it is. The sense of freedom (from busy lives) is really empowering. 3. 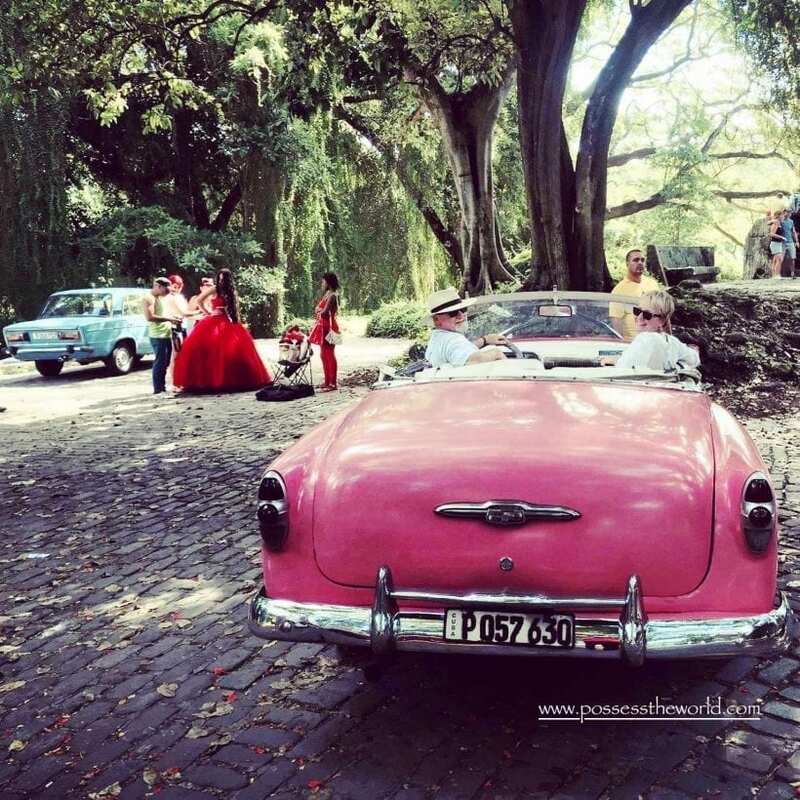 Visiting Cuba in 2015: Riding around the streets of Havana in a pink, vintage car was a pretty special time for us and it was Cath’s 40th birthday, so we will always remember it. Our home country is Australia and it is always humbling to drive through the dry, dusty interior and see farms; the farmers out there do it really tough and it is so different to the Australia that international travellers see – most of Australia is, in fact, not Bondi Beach! We have been really lucky when travelling and have not really had any ‘bad’ or ‘unsafe’ travel experiences. We road tripped to a music festival by car with friends and, on the way back from the festival (it was a two-day drive to get home, 2000 kilometres) our car died, going down a hill, with no breaks… It was pretty bad and really embarrassing. On the plus side though, we were really well-treated by the car insurance and ended up flying home instead. The Maldives: Spending a week in the Maldives is pretty special and luxurious. Skyscanner for booking international flights. We try to use smaller, local blogs when we travel, and have often consulted the LikeALocal app on our smart phones to find bars or restaurants. Canada: We would like to spend three to four months driving around Canada. We have never done a camper-van-style holiday and would like to give it a try. Canada has some spectacular scenery and is a big country, making it perfect for long road trips. We live in Geelong, Victoria located between Melbourne (the best city in Australia) and the Great Ocean Road. My tips would be to download the public transport apps and look for small, out-of-the-way cafes to find amazing food, coffee and bars. And if you are planning to drive down the Great Ocean Road – one of the world’s great drives – remember Aussies drive on the other side of the road! Be patient, be respectful and try to learn a few words of whichever language is used in your destination – even ‘please’ and ‘thank you’ show that you care. To read about and see all of all Catherine and Ian’s travel stories and experiences, you can visit their awesome blog. Or follow their on Facebook, Twitter or Instagram. Thank you very much, Catherine and Ian, for appearing in this international guest travel segment. Until the next one… happy writing and reading, everyone!